As part of our efforts to flip Orange County Blue, we put together a voter guide of candidates whom we believe share our progressive values. 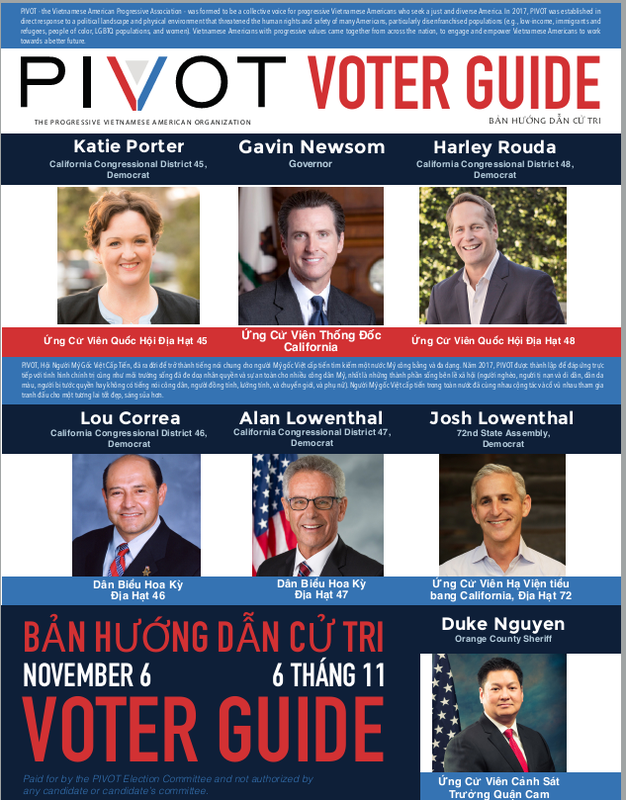 The guide was sent to Orange County voters and published in local Vietnamese newspapers. Here they are in various forms: Postcard, Full Guide in English, Full Guide in Vietnamese, and Guide in Nguoi Viet Newspaper.